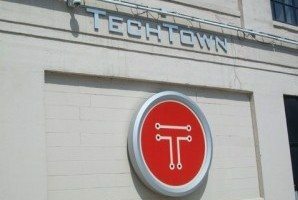 What brings a group of entrepreneurs from the Mahgreb region of Africa to Detroit’s TechTown? It’s an interesting story that started in Egypt three years ago. On June 4, 2009, President Obama delivered a speech in Cairo that was aimed promoting harmony between the United States and the Muslim world. Tensions were high after eight years of the Bush administration’s foreign policy, which was perceived by many global leaders to be especially hostile toward Islam. Obama, predictably, devoted a lot of time to the conflicts in Iraq, Afghanistan, and Palestine, but he also dedicated a section of the speech to economic development. Muslim countries, Obama noted, have historically been at the forefront of education and innovation. He announced a flurry of new initiatives meant to drive economic development in the Muslim world, including a Summit on Entrepreneurship to identify how to deepen ties between business leaders, foundations, and social entrepreneurs in the United States and Muslim communities around the world. In April 2010, the Global Entrepreneurship Program was announced at the Summit on Entrepreneurship, to which 55 Muslim nations sent envoys of entrepreneurs, and as part of the Global Entrepreneurship Program, the North African Partnership for Economic Opportunity (NAPEO) was launched. NAPEO is a private-public partnership of U.S. and North African business and civic leaders, entrepreneurs, and governments with a mission to spark job creation and entrepreneurship. NAPEO reccently sent entrepreneurs from Tunisia, Morocco, and Algeria to spend a few months at TechTown, the business incubator on the Wayne State University campus in Detroit, to receive mentorship, refine their business plans, and pitch their ideas to investors.